Although there are no seasons in space, this cosmic vista invokes thoughts of a frosty winter landscape. English : Although there are no seasons in space, this cosmic vista invokes thoughts of a frosty winter landscape. English : The art of Flamenco, show in the Theatre Flamenco, San Francisco. First stage of a Falcon 9 Full Thrust rocket on Landing Zone 1 (LZ-1). The stage landed successfully after launching 11 Orbcomm OG-2 telecommunication satellites to Low Earth orbit. 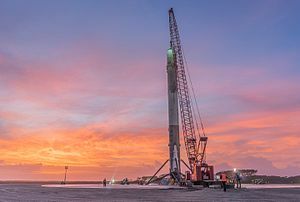 English : First stage of a Falcon 9 Full Thrust rocket on Landing Zone 1 (LZ-1). The stage landed successfully after launching 11 Orbcomm OG-2 telecommunication satellites to Low Earth orbit. English : Video the rocket Saturn V launch with Apollo 11 mission on 16th July 1969 from lift-off to 1 min after S-IC stage separation. English : The play fight of two polar bears (Ursus maritimus) in Churchill, northern Manitoba, Canada. View of Selimiye Mosque (former St. Sophia Cathedral) from Shacolas Tower in Nicosia, Cyprus. English : View of Selimiye Mosque (former St. Sophia Cathedral) from Shacolas Tower in Nicosia, Cyprus. English : Start and landing of the sailplane type Schleicher ASK 23. English : The top station on Cime de Caron in France from south-east on January 5, 2015. A narrow gauge steam locomotive of DR Class 99.77-79 No. 991777-4 at the Moritzburg railway station, Germany. This locomotive is used on the Radebeul–Radeburg railway (a German heritage railway). The railway maintains a year-round timetable and runs between Radebeul East station and the small towns of Moritzburg and Radeburg north of Dresden. English : A narrow gauge steam locomotive of DR Class 99.77-79 No. 991777-4 at the Moritzburg railway station, Germany. This locomotive is used on the Radebeul–Radeburg railway (a German heritage railway). The railway maintains a year-round timetable and runs between Radebeul East station and the small towns of Moritzburg and Radeburg north of Dresden. Malakatyn River at Bolshoy Lyakhovsky Island, Sakha, Russia. English : Malakatyn River at Bolshoy Lyakhovsky Island, Sakha, Russia. English : The sea natural phenomenon Thor's Well in Cape Perpetua region, Oregon Coast, Pacific Ocean, United States. Buller's Albatross (Thalassarche bulleri) with a Short-tailed Shearwater (Ardenna tenuirostris) behind, East of the Tasman Peninsula, Tasmania, Australia. English : Buller's Albatross (Thalassarche bulleri) with a Short-tailed Shearwater (Ardenna tenuirostris) behind, East of the Tasman Peninsula, Tasmania, Australia. English : The church St. Lambertus (“Immerather Dom“) of Immerath (Erkelenz) in March 2016. The heritage monument will be demolished as of today to make way for the Garzweiler II surface mine in the German state of North-Rhine Westphalia. English : Aurora in Estonia. English : The time lapse video of the Aurora. An old Motosacoche motorcycle with skis mounted on its sides. 1914-1918. English : An old Motosacoche motorcycle with skis mounted on its sides. 1914-1918. English : The Atlantic puffins (Fratercula arctica) on Skellig Michael island, County Kerry, Ireland. Ceiling light fixture in Hofstatt Mall, Munich. English : Ceiling light fixture in Hofstatt Mall, Munich. English : American documentary film produced as evidence at the Nuremberg trials. English : The video of trick fountaines Wasserspiele Hellbrunn at Hellbrunn Palace, southern district of the Salzburg city, Austria. English : The Grey reef shark (Carcharhinus amblyrhynchos) at Barracuda Point, Sipadan island, Malaysia. Emirates airline Airbus A380-861 (reg. A6-EER, msn 139) departing 26L at Munich Airport, Germany. English : Emirates airline Airbus A380-861 (reg. A6-EER, msn 139) departing 26L at Munich Airport, Germany. 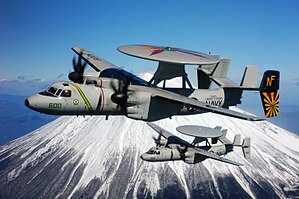 English : 1952 statement of the director of the US Air Force intelligence, John A. Samford, on flying saucers. Panorama of Lake Baikal, seen from Olkhon Island. Irkutsk Oblast, Russia. English : Panorama of Lake Baikal, seen from Olkhon Island. Irkutsk Oblast, Russia. English : Video from the 2012 year showing the growing tourist opportunities in the Altai Krai region of Russia. English : Video of the Ames room (mechanically distorted room that is used to create the optical illusions) in Amos Anderson Art Museum in Helsinki, Finland. The commuter ferry Emelie arriving in Henriksdalshamnen, Stockholm. In the background, Norra Hammarbyhamnen (Södermalm). English : The commuter ferry Emelie arriving in Henriksdalshamnen, Stockholm. In the background, Norra Hammarbyhamnen (Södermalm). English : The small ferry over the Morava river between Slovak village Záhorská Ves and Austrian town Angern an der March. Young European bison (Bison bonasus) in the Wisentgehege Springe game park near Springe, Hanover, Germany. The European bison or wisent is the heaviest of the surviving land animals in Europe, with males growing to around 1,000 kg (2,200 lb). European bison were hunted to extinction in the wild, but have since been reintroduced from captivity into several countries. English : Young European bison (Bison bonasus) in the Wisentgehege Springe game park near Springe, Hanover, Germany. The European bison or wisent is the heaviest of the surviving land animals in Europe, with males growing to around 1,000 kg (2,200 lb). European bison were hunted to extinction in the wild, but have since been reintroduced from captivity into several countries. English : The group of 3 European bisons (Bison bonasus bonasus) is prepared for releasing into the East Rhodope Mountains in Bulgaria. Scots Pine (Pinus sylvestris), east part of Utö, Haninge Municipality, Stockholm archipelago, Sweden. In the background the Baltic Sea, with some sea smoke. English : Scots Pine (Pinus sylvestris), east part of Utö, Haninge Municipality, Stockholm archipelago, Sweden. In the background the Baltic Sea, with some sea smoke. English : Preparing of edible rice paper for spring rolls, Bangkok, Thailand. True color image of Mars taken by the OSIRIS instrument on the European Space Agency (ESA) Rosetta spacecraft during its February 2007 flyby of the planet. English : True color image of Mars taken by the OSIRIS instrument on the European Space Agency (ESA) Rosetta spacecraft during its February 2007 flyby of the planet. 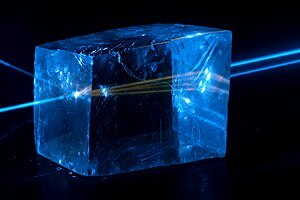 English : The project of the exploration of the close Universe by European Space Agency (ESA) Rosetta spacecraft, launched in 2004. Engineers successfully tested the parachutes for NASA's Orion spacecraft at the U.S. Army Yuma Proving Ground in Arizona Wednesday, March 8, 2017. This was the second test in a series of eight that will certify Orion's parachutes for human spaceflight. The test, which dropped an Orion engineering model from a C-17 aircraft at 25,000 feet, simulated the descent astronauts might experience if they have to abort a mission after liftoff. English : Engineers successfully tested the parachutes for NASA's Orion spacecraft at the U.S. Army Yuma Proving Ground in Arizona Wednesday, March 8, 2017. This was the second test in a series of eight that will certify Orion's parachutes for human spaceflight. The test, which dropped an Orion engineering model from a C-17 aircraft at 25,000 feet, simulated the descent astronauts might experience if they have to abort a mission after liftoff. English : The pararescuemen from 38th Rescue Squadron at the Moody Air Force Base jumps from the helicopter Sikorsky HH-60 Pave Hawk from a heihgt of 12,500 ft.
VKG Ojamaa mine for oil shale extraction, using an Atlas Copco underground loader. English : VKG Ojamaa mine for oil shale extraction, using an Atlas Copco underground loader. English : Demonstration of a remotely operated LHD loader in the Doe Run Buick lead mine in Southeast Missouri Lead District, Missouri, United States. Portrait of three lions (one female and two males) of a pride, all resting at morning time. Taken in Masai Mara, southwest Kenya. 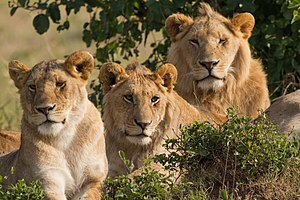 English : Portrait of three lions (one female and two males) of a pride, all resting at morning time. Taken in Masai Mara, southwest Kenya. English : Seven lion cubs (Panthera leo) in the central part of the Serengeti region in Tanzania. Arabesque Room in the Catherine Palace in Pushkin, Saint Petersburg, Russia. English : Arabesque Room in the Catherine Palace in Pushkin, Saint Petersburg, Russia. English : The celebrations of the 67th anniversary of the Victory Day in the town Gryazi, Lipetsk Oblast, Russia, 2012. A hungry savanna hawk (Buteogallus meridionalis) from the Pantanal in Brazil. English : A hungry savanna hawk (Buteogallus meridionalis) from the Pantanal in Brazil. English : Hunting common buzzard (Buteo buteo) and rough-legged buzzard (Buteo lagopus) in Netherlands. English : Process of preparing jaggery (traditional cane sugar) in Punjab, India. Eiffel Tower and Pont Alexandre III at night in Paris, France. English : Eiffel Tower and Pont Alexandre III at night in Paris, France. English : Video clip of French electronic rock group Krystal System from the 2013 year, Paris. English : Short video of small three-wheeled Czech car Velorex on filling station in Želechovice nad Dřevnicí, Czech Republic. A local train to Tirano, hauled by a RhB ABe 8/12 "Allegra" EMU, pushes a plow (Xk 9144) to clear the snow that has accumulated between the rails, just after Ospizio Bernina, Switzerland. English : A local train to Tirano, hauled by a RhB ABe 8/12 "Allegra" EMU, pushes a plow (Xk 9144) to clear the snow that has accumulated between the rails, just after Ospizio Bernina, Switzerland. Loxura atymnus, Yamfly, is a species of Lycaenidae found in Asia. English : Loxura atymnus, Yamfly, is a species of Lycaenidae found in Asia. English : Video of Nine-spotted moth (Amata phegea) on flower.